* Nia Jax defeated Daria via leg drop for the win. Nia Jax makes her way to the ring for her match, Blue Pants enters next. Nia with a clothesline, Blue Pants dodges and rolls to a clothesline. Jax turns around and clotheslines her after Blue dodged another. Jax tosses Blue Pants across the ring by her hair. Blue Pants tries kicking Nia. Jax slams Blue Pants and follows up with elbows into her midsection. Jax with a Samoan Drop and hits a leg drop on Blue Pants. Jax covers her with one foot for the win. Alex is backstage with NXT Women’s Champion Bayley. Alex brings up her recent successful defenses. Bayley addresses Nia Jax and the fact that her title reign could be in jeopardy. Bayley is ready to accept any challenge head-on. Jax walks up and gives Bayley a smile before walking off. Bayley states again that she is willing to accept any challenge when Jax comes back and throws her through a door. 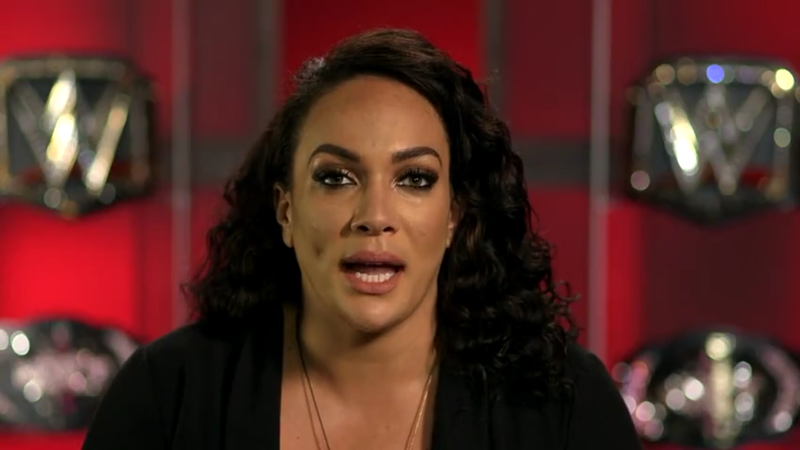 Nia Jax speaks on her character, stating that “Nia Jax” is a total bad a**. 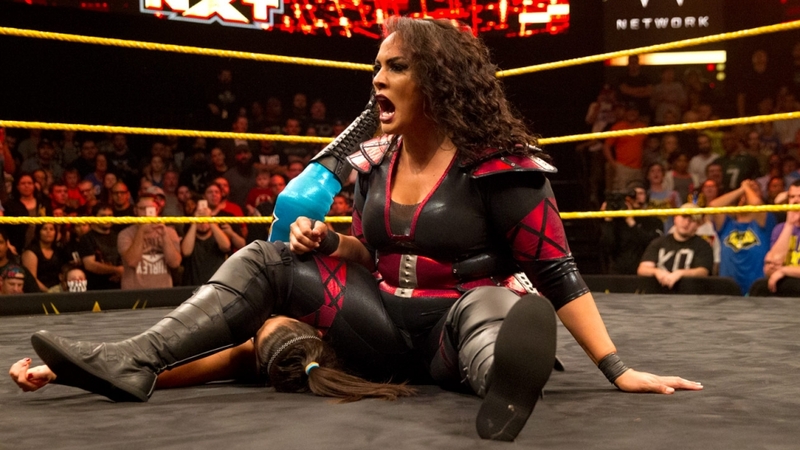 When Nia steps in the ring she knows she is the main b**** and no body is going to mess with her. She doesn’t take much and who she is will not change for no one. Nia grew playing every sport and hanging around her brothers. Her main inspiration is her Cousin Dwayne “The Rock” Johnson. 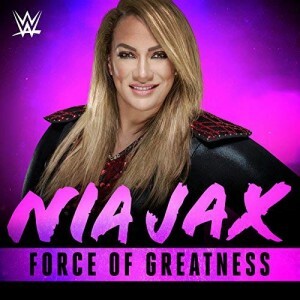 Every since Nia watched him face John Cena at Wrestlemaina 28 and hearing the crowds reaction, she knew then she wanted to give wrestling a try. Nia could never imagine a woman her size being in the WWE but she looks at it being an advantage from the other women because she has the strength and unique personality that will stand out. 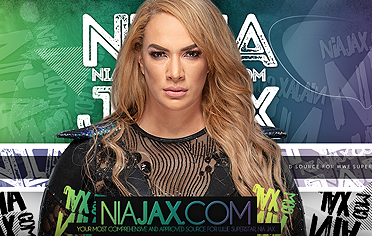 We later see Nia sit down with Sara Del Ray to discuss her performance evaluation. Nia find herself being self conscious of her weight. Sara feels Nia looks great at her current size. At the end of the show Nia is called to the office where she finds out that she is getting a raise because of her excellent performance. Eva Marie cut a backstage promo in William Regal’s office. She said that she is the hottest prospect in NXT and that she belongs to be a champion. She then introduced her new friend Nia Jax, who handed her a gift. Marie said that nothing beats friendship. 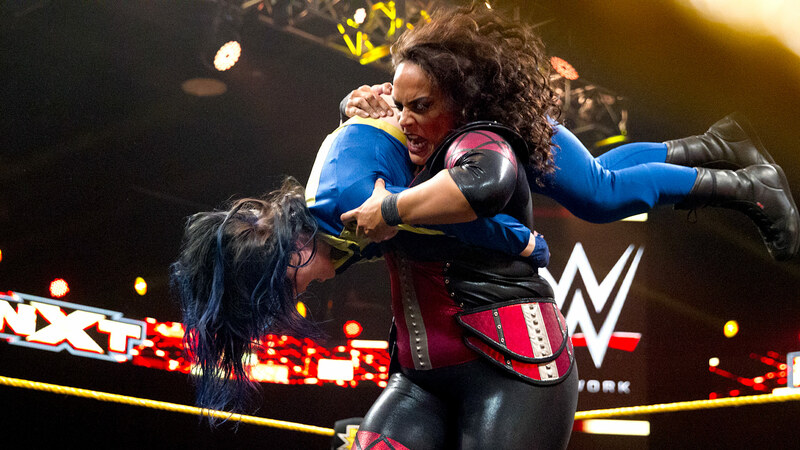 They lock up, Bayley hit the Bayley to Belly for a near fall as Nia Jax pulled the original refree out of the ring. Charles Robinson, who was at ringside, got into the ring and Marie rolled up Bayley for a near fall. Marie hit a back splash for a near fall. Bayley then went for a series of roll ups, but only got 2. Marie put the boots to her. Marie fought back and hit her finisher for 2. Bayley sent Marie into the corner and took out Robinson. Bayley landed a forearm shot. Jax pulled Bayley out of the ring but Bayley popped up and sent Jax into the apron. Bayley hit the super Bayley to Belly for the win. Post-match, Jax attacked Bayley and hit a leg drop on her. Bayley was left lying in the ring to close the show. Nia with a clothesline, Carmella dodges and applies a waist lock before being thrown to the mat. Carmella with several punches. Jax knocks Carmella before pulling her up and headbutts her back down. Jax applies a bear hug. Carmella counters into a headlock to Jax before breaking the hold due to being on the ropes. Jax catches Carmella, but Carmella attempts a roll up. Carmella dropkicks and knees Jax, but she remains on her feet. Jax catches Carmella and slams her to the mat followed up with a leg drop for the win.